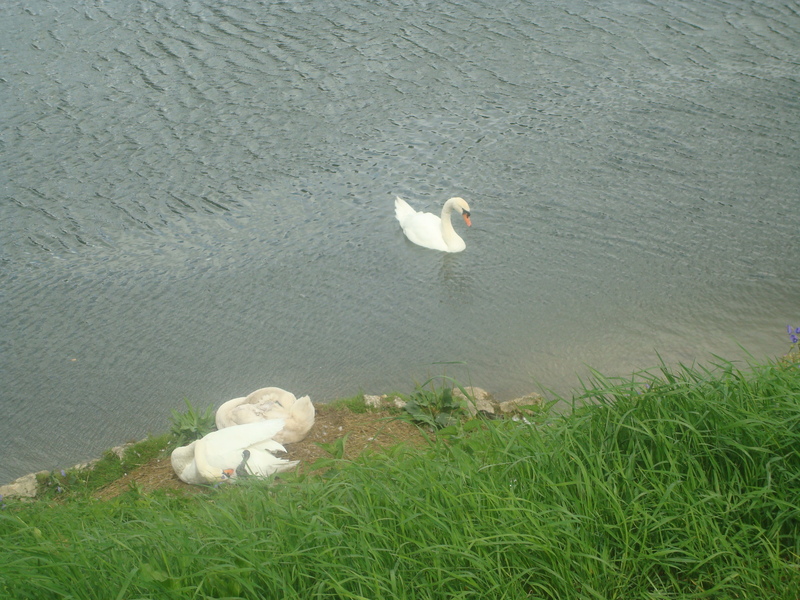 Did you know that there are wild swans swimming in the Danube? We often see them on our walks along the riverfront. It’s a pretty neat sight for me, since swans were a rare sight in my childhood. These swans don’t seem to be migratory, because they’re happily swimming and flying around even in the sub-freezing temperatures we’re currently experiencing. Perhaps they are well fed by the Ulm citizens and don’t wish to travel. Our kids do certainly love to try calling out to the swans and ducks and trying to converse with them in “quacks”. The cold makes it harder to venture out of our cozy apartment. I’m much less inclined to bring Lucy out for a little exploratory wander when her nose turns red from cold and her hands turn into stiff white icicles. That combined with the school syndrome — Sam in his first year of public school is bringing home every illness that crosses his path and then sharing them with Lucy. It’s going to be a long cold & flu season for our family. I’m already falling off of the blogging bandwagon. I Hope that in Germany without the distractions of work and TV that I’ll find a little more time to keep up. We are pulling together all the myriad details required to move a family of four overseas. We have had an army of service pros marching through our house trying to make it more appealing to buyers. I just wish little Lucy would understand that we don’t enjoy having crackers crushed into our cleaned carpets and raspberries blown onto our freshly washed windows! The wall of packed boxes is increasing in our basement, and we are itching to start hauling off most of the packed stuff to long-term storage so the house won’t seem so cluttered. Progress is slow on our contracts, visas, and residency permits, but we do have one encouraging bit of news. An apartment has been arranged by the HR department at Joe’s school, and it’s truly perfect for us. Joe had been looking online for furnished apartments and the prospects were pretty dismal. 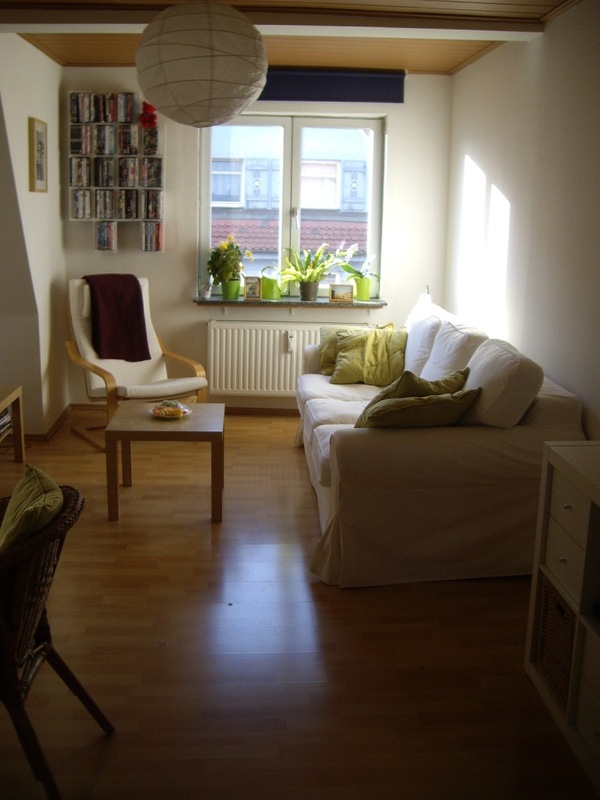 But (*fingers crossed*) we’ll be able to move into this apartment shortly after we fly to Germany on July 31st. Even more, it’s only a 3-minute walk from the school. 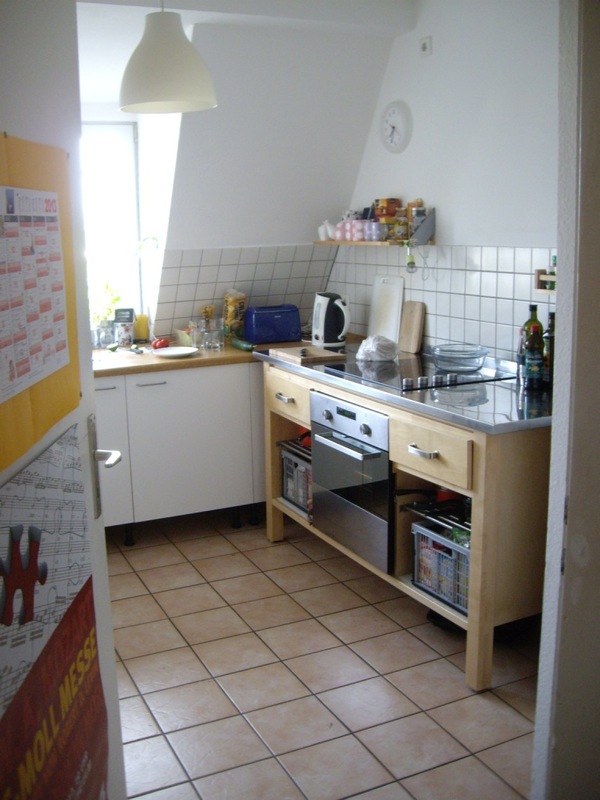 We accepted the offer to teach in Germany only one short month ago, and how greatly our lives have been changed!